For installation of a front suspension reverse shackle system and using your own front hangers. An easy in-frame shackle solution just like what we offer on our standard CPT reverse shackle kits. Designed for use with 2" wide leafsprings on 1971-80 Scout II, Terra or Traveler. Can be used with 1 3/4" wide leafsprings on 1961-71 Scout 80, 800 by adding in one of our 1/4" fat washers. 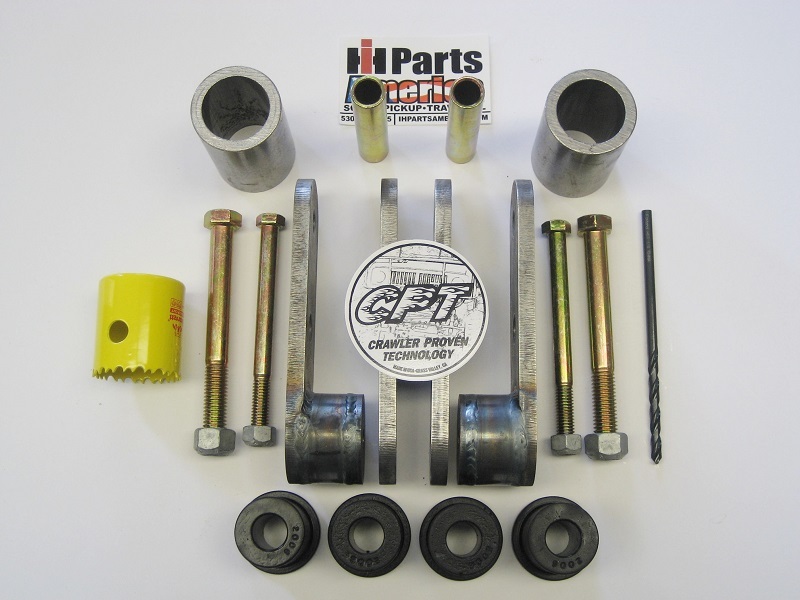 Kit includes shackle plates, shackle bolts, DOM sleeve, bushings, holesaw and pilot drill bit. Choose 5" or 6" shackle when ordering.